It’s hard to recall a richer, more creatively satisfying year for men and boys than 2014. Of course, I’m referring to the fascinating male characters and performances that flooded the cinema, circa 2014: American Sniper, Birdman, Boyhood, Foxcatcher, The Judge, The Grand Budapest Hotel, The Imitation Game, Mr. Turner, Nightcrawler, Selma, The Theory of Everything, Whiplash. No matter how the Oscar race plays out on February 22, these films, all contenders in one or more categories this year, are winners, as performance pieces and/or creative achievements. 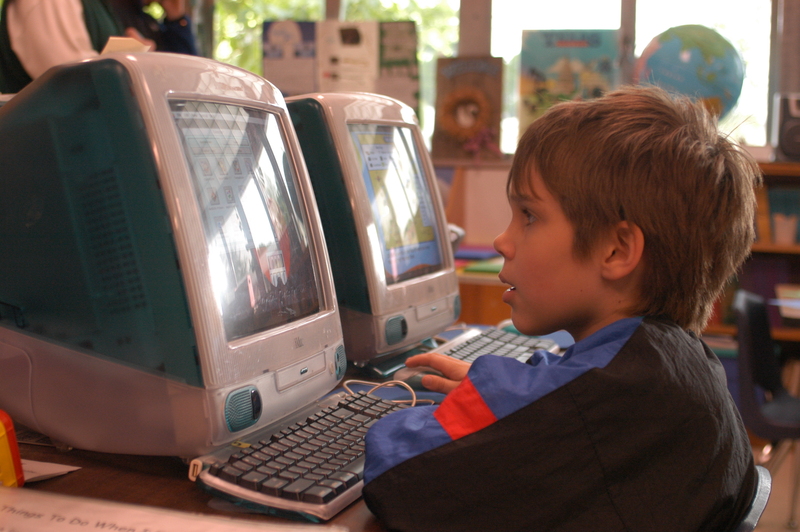 Richard Linklater’s engaging, Oscar-nominated film, BOYHOOD, follows Mason (Ellar Coltrane) through 12 years of childhood and adolescence. Photo: IFC Films. While I’m especially partial to the outstanding ensemble performances and dizzying originality manifested in Birdman and The Grand Budapest Hotel, I’m equally impressed with Boyhood’s back story, substance and quietude. Its universal theme speaks to the journey we all take in some form or another and, for that especially, it deserves a long shelf life. Turning 40 has never been easy. 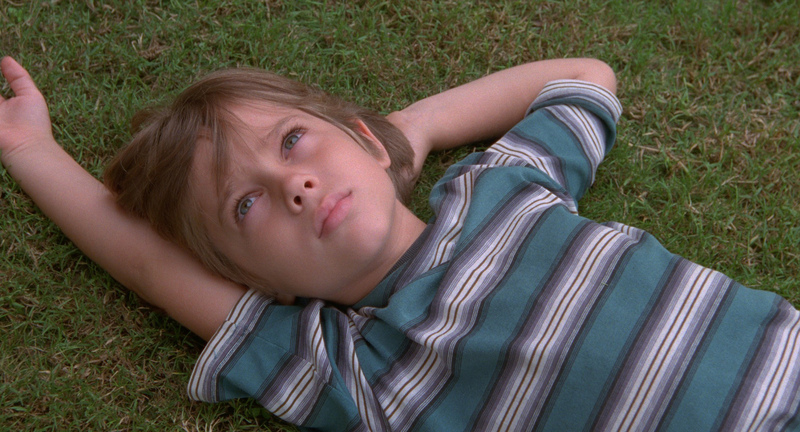 But we apparently have that pivotal milestone to thank for director Richard Linklater’s Oscar front-runner, Boyhood. By the time he reached his 40th birthday in late July 2000, Linklater had built a promising career dotted with critical and cult favorites; time and its passing seemed to be a conceit that drove his more popular work. Mason (and the actor who played him, Ellar Coltrane) at 7. Photo: Matt Lankes. Courtesy IFC Films. At 40, Linklater was ready to take a risk and step outside his comfort zone. He decided to film a subject that not only was personally important to him, as a husband and a father, but, if viable, would enable him to incorporate the passing of 12 years of real time believably. Richard Linklater’s fascination lay with childhood, especially the K-12 years when we process a range of formative life experiences and emotions. It would be a tough sell and huge undertaking for anyone to capture those years on camera in a two to three-hour dramatic narrative unless he narrowed the playing field (i.e., focused on one child); employed willing actors (to play the same roles over a period of 12 years); and tweaked the traditional production timeline to acquire sufficient funding (to cover more than a decade of rising production costs, to ensure site logistics and employ the same actors and crew for scenes to be filmed each year in snippets for 12 years as his characters aged). More than a half-a-century ago, British director Michael Apted stepped into this uncharted minefield when he began documenting the lives of a handful of British youngsters every seven years, following them as they grew up and older in what has become known as the UP series. 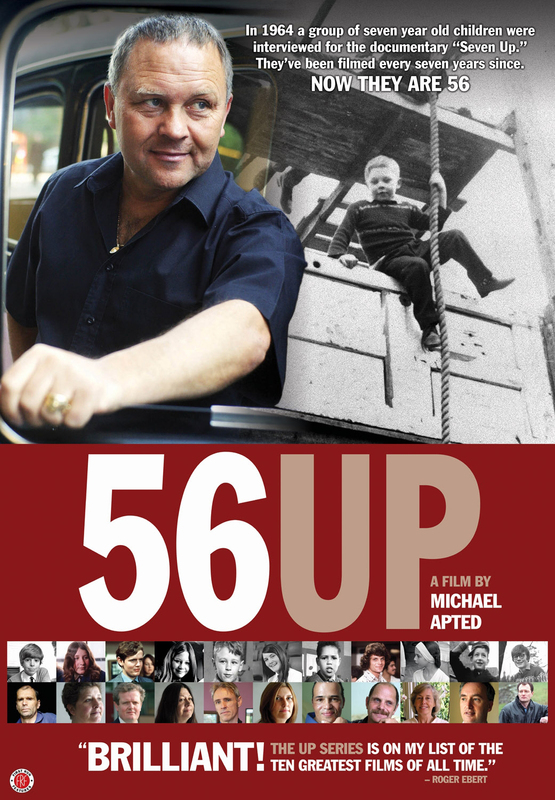 (See my review of Apted’s most recent installment, 56 UP @ https://judithtrojan.com/2013/10/14/). Also well-known for his dramatic features, Apted opted to continue to use the documentary format to chronicle his subjects’ progression through the years, while Linklater aimed to film actors within a fictional, scripted (albeit semi-autobiographical), dramatic storyline. Although he owes much to Apted’s groundbreaking work, Linklater faced a different set of industry obstacles. “It was like taking a great leap of faith into the future,” says Boyhood director Richard Linklater. Filmed over 12 years in 35mm with the same dedicated and talented cast and crew, Boyhood seamlessly flows through 12 years in the fictional life of Mason, a young Texan played by Ellar Coltrane, who aged from six through 18 during the 12-year film shoot. Mason shares his life with older sister Samantha (played by Linklater’s daughter Lorelei, an adorable, nine-year-old scene stealer when the project began). Single mom Olivia (Patricia Arquette) shares a memorable moment with her kids, Samantha (Lorelei Linklater) and Mason (Ellar Coltrane), in BOYHOOD. Photo: IFC Films. The kids are raised by single mom Olivia (Patricia Arquette, who is prime to win her long overdue Oscar in this role). Olivia provides her kids with structure and, by example, the tools they’ll need to weather the myriad changes in their residences, schools and finances. Olivia is the one constant in her kids’ lives, and she never forgets the importance of that role. This is a rare three-dimensional and, more importantly, unsentimental portrait of a single mom who struggles to make a safe, secure life for her kids without losing sight of her own goals. She works doggedly to acquire the education and career she missed as a young wife and mother, while extricating herself from two bad marriages and building a better relationship with her first husband, her kids’ dad Mason, Sr.
Madcap dad Mason, Sr. (Ethan Hawke) makes up for lost time with his kids, Samantha (Lorelei Linklater) and Mason, Jr. (Ellar Coltrane), in BOYHOOD. Photo: IFC Films. Mason, Sr. (Ethan Hawke in a delightful Oscar-nominated performance) reenters their lives after a vagabond stint in Alaska and marginal career as a musician. As the film progresses, Mason, Sr., sidelines his irresponsible life of pipe dreams and empty pockets to provide for his kids, if not financially, then as a loving sounding board and whimsical link to art and nature. That he finally makes a good match with a sweet, like-minded woman adds to his viability as a positive role model for his kids. It’s clear that Richard Linklater‘s Boyhood is a labor of love and enormous dedication by his creative team of actors, producers and crew. They managed to evoke a quiet, realistic, moving depiction of childhood and family life in 21st century America that segues through a 12-year-period unhampered by obtrusive timelines. It is engrossing for almost three hours without resorting to overt sentimentality, melodrama or heavy-handedness … no 3-D aliens, explosions or walking dead. 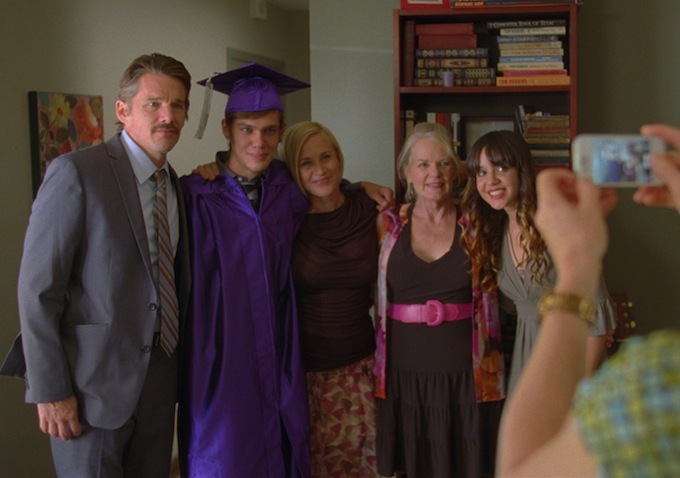 Mason’s high school graduation party in BOYHOOD celebrates his family’s strong bond and an important rite of passage. Photo: IFC Films. There are the requisite birthday and graduation parties, hiking and biking, barbecues and bowling, peer pressure, booze and broken promises, first love and heartbreak. There are lessons to be learned, successes to be celebrated and disappointments to be weathered as Mason matures physically and emotionally and navigates the upheavals in his homes, schools and friendships and the pressures in his parents’ lives. That his mom and dad mature effectively as parents and productive adults over a period of 12 years is an asset here. In the end, as Mason moves into his college dorm and bonds with yet another new group of friends, we understand along with him that maybe it’s not so important to be focused on the future and to second guess where you’ll be in five, 10 or 12 years. It’s much better to appreciate, in the moment, everyday life and the journey you share with family and friends. Mason (Ellar Coltrane) at 9 must make due with an unwanted haircut in BOYHOOD. Photo: Matt Lankes. Courtesy IFC Films. This entry was posted in Film and tagged Academy Award Nominee, Adolescence, Boyhood, Ellar Coltrane, Ethan Hawke, Family Relationships, Lorelei Linklater, Men's Studies, Michael Apted, Patricia Arquette, Richard Linklater, Single Parenting, The Up Series, Women's Studies. Bookmark the permalink.